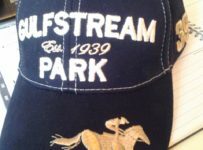 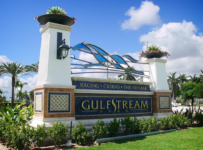 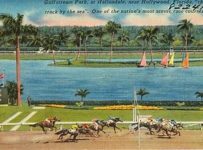 While most all the horse racing action Saturday will be focused at the Breeders’ Cup in Kentucky, Gulfstream Park will run a 10 race card commencing at 12:15 PM ET. 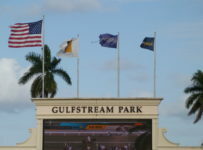 Four Saturdays from now, Dec. 1, Gulfstream opens its Champions Meet, where South Florida will be the national focus for great racing and great weather too. 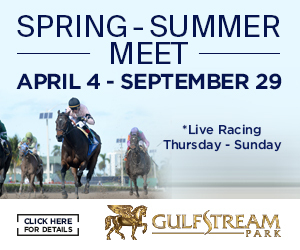 Two stakes races are in the mix Saturday: the Cellars Shiraz (#6) and the Showing Up (#8). 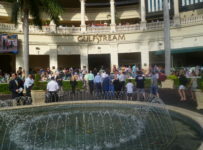 Both races are 1 mile on turf with $75,000 purses. 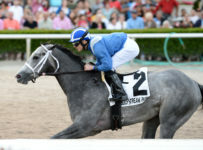 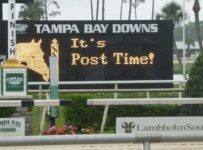 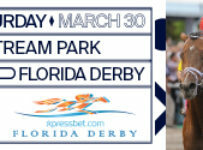 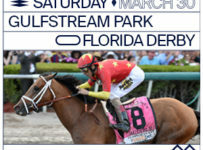 On Friday, Gulfstream West ran 9 races under cloudy-fast conditions. 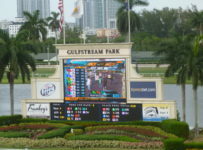 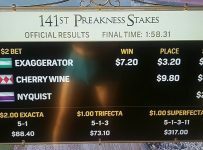 Just one favorite won on the day, and the late Pick 4 and Pick 5 paid handsomely: $1,098 and $13,383. 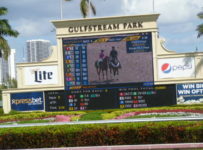 No ticket had 6 of 6 on the Rainbow 6; and the 5 of 6 paid $406, a smallish win. 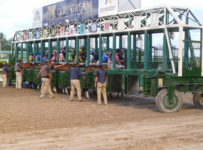 The sole carryover will be $9,614 on the Rainbow 6. 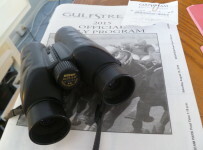 Click the Breeder’s Cup tab on this home page for updates to the Breeders’ Cup races Saturday.